After a delay while she was getting to New Cross on the train, Rosy Bones had reached the pub by the time I got hold of her late on Tuesday afternoon, visiting friends after a day of ‘admin’ and a visit to the Rough Trade offices with fellow Goat Girl bandmates Clottie Cream (vocals/guitar), L.E.D (guitar), and Naima Jelly (bass). I’m not convinced those names will appear on the 2021 census, but it’s all I have for now. 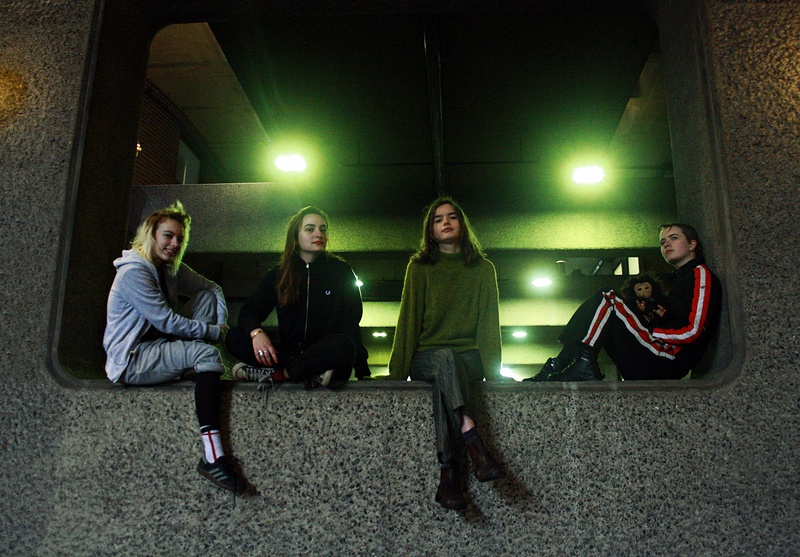 Rosy, the band’s drummer, is based in Lewisham but grew up in South-West London, while her bandmates gravitate from East London, getting to know her via a happening South London music scene, ‘getting integrated into this thing’. Which bands were they watching back then? That takes me back to formative nights listening to John Peel in the ’80s, those not in the know always slightly amused or bemused by the odd names of bands we craved back then. Now, 30 or so years on, it seems that I’m the clueless one. Have I become that bloke? 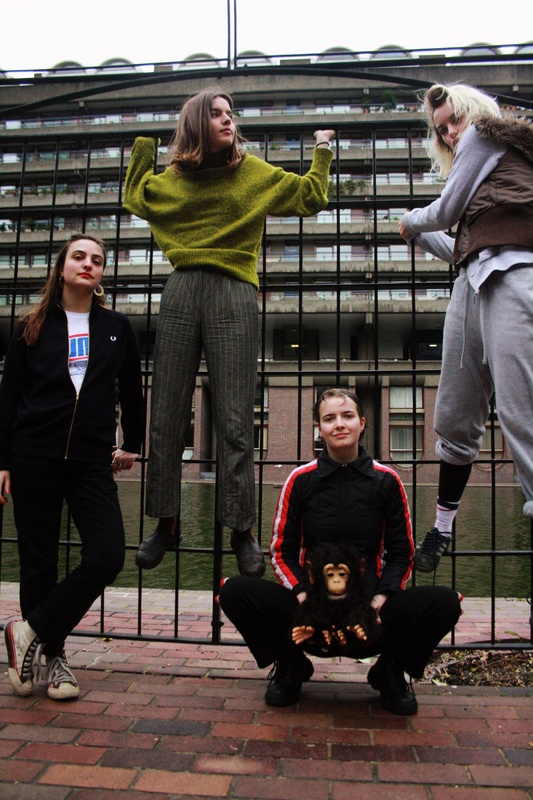 The Windmill in Brixton was key to that whole scene, Rosy told me, and she’d soon joined the band that became Goat Girl, practising with them, with gigs around Peckham and New Cross too. My excuse for speaking to her was an upcoming Manchester Gorilla date (Tuesday, October 23rd) on the band’s autumn UK tour. And it wasn’t so long ago, I pointed out, that they were in nearby Salford for Sounds from the Other City. I’m not suggesting she’s accident prone, but the previous month Goat Girl had to postpone a date in Sheffield after an accident on a ferry from Dublin when Rosy had boiling water poured over the left side of my body. Ouch. Anyway, talking of festivals, how was Portmeirion and their No.6 appearance? What other festivals or other appearances stand out from this year? I was reminding myself of your appearance on BBC 2’s Later with Jools Holland this summer too, sharing a bill with Niles Rodgers’ Chic, former Supergrass frontman Gaz Coombes, and Chas and Dave, one of their very final appearances together. 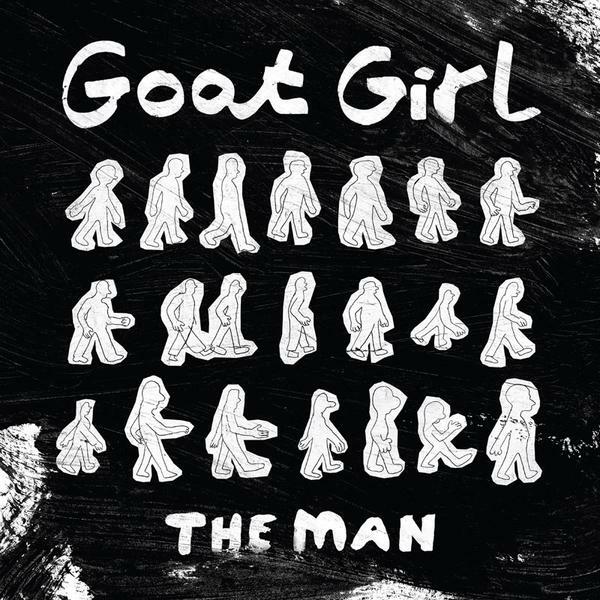 Those were at The Garage and the 100 Club in early May, Goat Girl chosen by the legendary front-man for what turned out to be The Fall’s final London gigs. 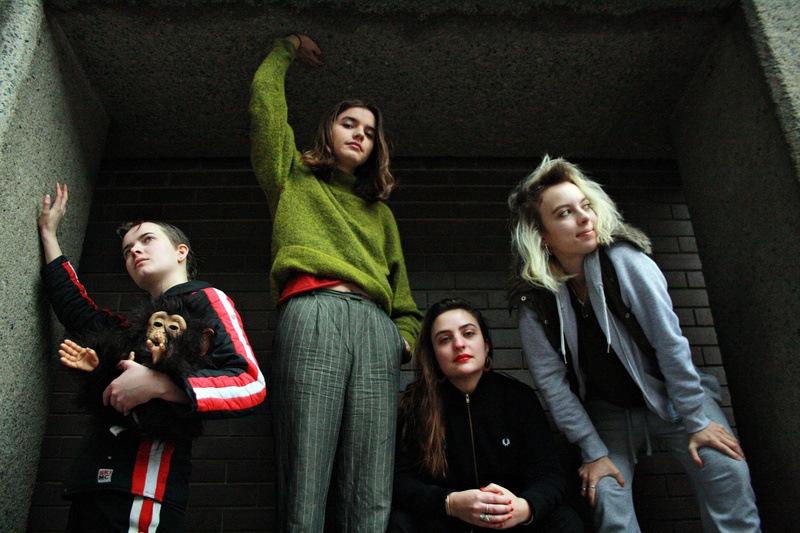 And it’s been a manic year for the girls, still in their early 20s, with lots going on, not least the release of their self-titled debut album, with lots of rightful acclaim following. Is it nice to be appreciated, or is there concern that the music press traditionally build bands up only to knock them down later? Everyone seems to be raving about you at the moment. Was there a lightbulb moment when you were out watching bands, realising you could do this? And was there a manifesto for success and where you could get to? The first single, Country Sleaze, seemed to light the way for you, waking people up to who you were and somewhat setting out your stall. Was there a good feeling putting those early songs together? That’s certainly seems to be one of their strengths. There’s a raw feel to the band, one that shows on their recorded product so far. When I hear Goat Girl, I hear the likes of PJ Harvey, but also Nick Cave, and even Blur’s Graham Coxon’s solo material. You’ll see plenty of others touted as influences. But who were the bands Rosy heard that inspired her to have a crack at all this? That’s more down the pop line than I expected. But in the week Wolf Alice secured the Mercury Prize, there does seem to be a resurgence of interest in critical circles for female-fronted guitar bands too. Rosy started playing drums at the age of 12, having stalled with early piano and guitar lessons, while ‘the drums made sense’. She is learning and enjoying piano now though, and you’ll see her tinkering away for an filmed acoustic stroll through album track ‘Viper Fish’ for BBC 6 Music’s Marc Riley show recently. I’m reading Robert Forster’s Grant and I at the moment, a great read from a fellow performer with a Rough Trade past, in his days with The Go-Betweens. He talks about the band only starting to finally get a wage, and we’re talking £50 a week, after a few albums and perceived success in the late ‘80s. Is that how it is for you 30 years on? Back to the LP, and it’s 19 tracks and 40 minutes altogether, certainly value for money. Do you think you’ve captured the true live Goat Girl experience on there? Well, that’s a good thing as far as I’m concerned. I also love the feel of the A Hard Day’s Night-like promo video for ‘The Man’. Where was that filmed? What happens next, after this tour? Are you on with the next record? Or is it like with Joe Strummer’s shocked, ‘What do you mean, ‘second album’?’ when questioned after basking in the glory of The Clash’s self-titled debut LP? And if you weren’t doing all this now, or at least if no record company came calling, what would you be up to instead? 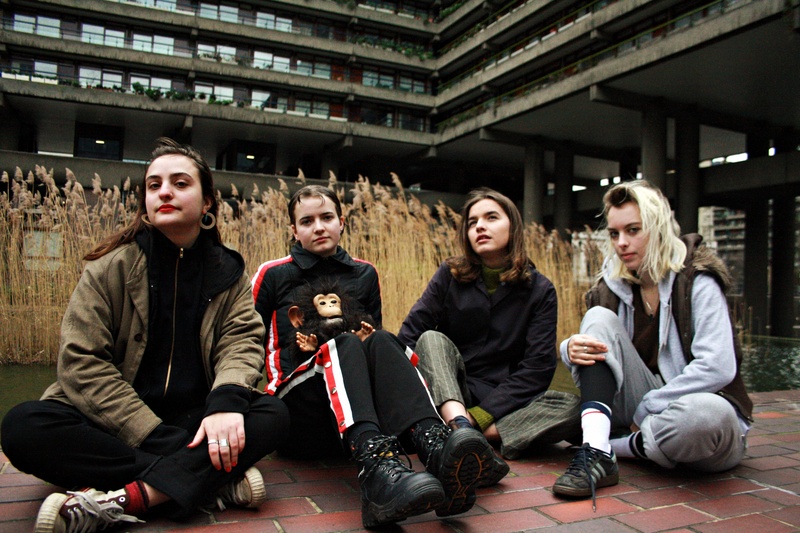 For Goat Girl’s autumn tour details, head here. You can also keep in touch with the band via their website, and Facebook and Instagram pages. This entry was posted in Books Films, TV & Radio, Music and tagged Brixton, Chas and Dave, Chic, Clottie Cream, Goat Girl, Jools Holland, Kendrick Lamar, Marc Riley, Mark E Smith, New Cross, Robert Forster. Country Sleaze, Rosy Bones, Rough Trade, South London, The Fall, The Go-Betweens, The Man, Wolf Alice. Bookmark the permalink.